GroupLink » Enterprise News: Is Internet Explorer’s Time Coming To And End? There has been some serious talk in the enterprise news world about Microsoft making changes regarding Internet Explorer. The talk was mostly about Internet Explorer getting a makeover to have the look and feel of Google Chrome and Mozilla Firefox. Instead of Internet Explorer 12 being part of Windows 10, the new browser is only known by the codename of “Spartan”. There is no actual or formal name for the browser as of yet. 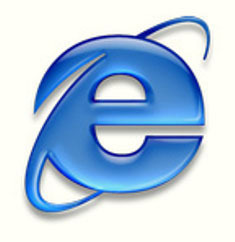 The “Internet Explorer” branding will be 20 years old in August, and it has seen it’s share of positives and negatives. Unfortunately, most of what IE has seen has been negative. With the roll-out of new and updated browsers, Internet Explorer is not always the popular choice of browser use. As of now, it seems that the “Spartan” brand will not be part of the Internet Explorer brand whenever it is released. Spartan is expected to have more positives than Internet Explorer. The new browser is expected to be more lightweight and quicker than its other predecessors, more recently Internet Explorer 11. The new browser is also expected to offer better results when it comes to supporting extensions. The browser is expected to be used on both desktops and mobile versions for the new Windows 10. There may be a little sneak peek into Spartan at the end of the month. At the end of the month, there is expected to be a big reveal of Windows 10. However, it is still unknown if the new browser will be part of the reveal and the preview. Regardless of what happens with Spartan this year, it seems that Internet Explorer’s time will be coming to and end very soon. Does the fact that there may be a new browser from Microsoft interest or intrigue you in any way? If you think you may need to make adjustments for any big changes that we may see this year from a technology standpoint, contact us at any time.